The success of Apex Legends has given Titanfall 2 a boost. It’s no secret that Apex Legends is a very popular game right now. In just seven days, Respawn’s first battle royale shooter attracted 25 million unique players, and peaked at 2 million concurrent. But Respawn’s success with Apex had another side effect: giving the excellent Titanfall 2 some much needed attention. Over the past few days, players on Xbox One, and PS4 subreddits have been sharing screenshots of the boosted player counts. Titanfall 2 is one of a few multiplayer games today that continue to display a tally of the number of players online at any given moment. It’s something players used in the past to determine its health, but since Apex Legends’ release on February 4, these numbers have been growing. True Achievements reports that Titanfall 2 is now the 37th most played game on Xbox One. This is hardly earth-shattering, but when you look at its previous spots in the 60s and 70s, the jump is quite significant. Though PlayStation 4 doesn’t have an easily accessible list of the most popular games on PSN, it’s easy to see the surge in player numbers through fan posts on online forums. Likewise, the PC player base too expanded over the same period. It’s worth noting that Titanfall 2 was recently on sale for around $5, but that’s hardly the first time the game has been heavily discounted in the last six months, let alone since its release in 2016. 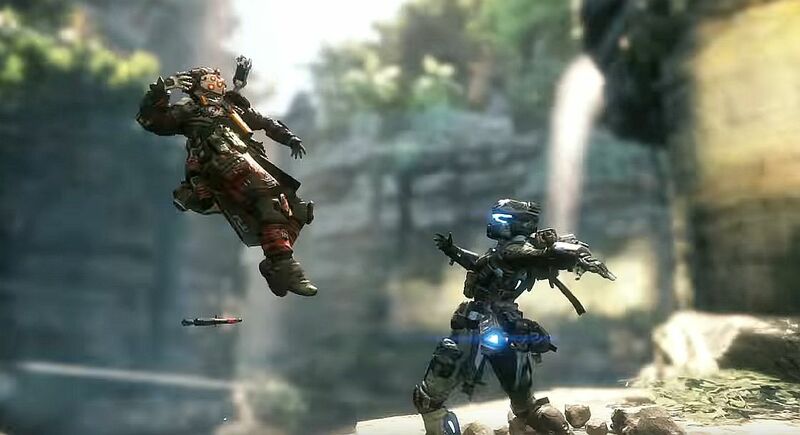 Though Apex Legends doesn’t feature Titanfall’s signature Titans or wall-running, the two take place in the same universe. It’s easy to see how players, impressed with Apex’s gunplay and movement, would want to venture out and see where it came from.